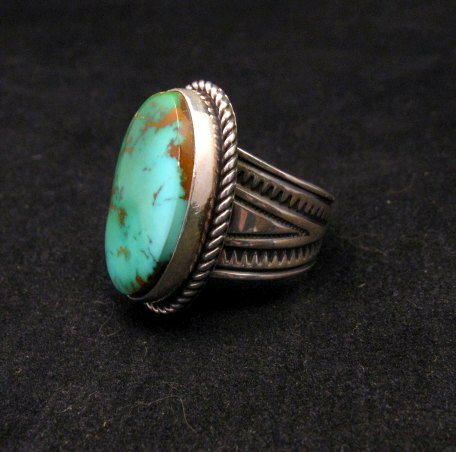 This Navajo made sterling silver ring features a gorgeous natural Royston turquoise stone, set in a simple setting with a wide deeply stamped band. 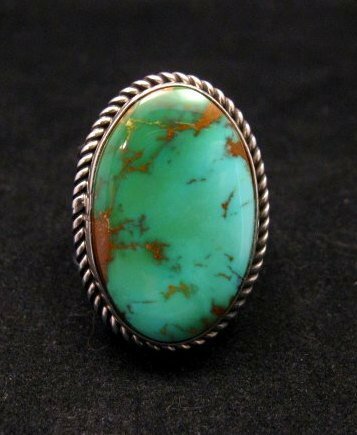 The turquoise stone is a beautiful turquoise color with some golden brown matrix. 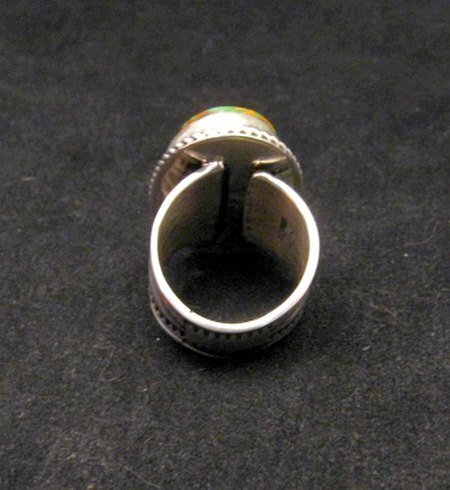 The face of the ring measures 1-1/8 inch long by 3/4 inch wide at the widest point. Size 8 to 10-1/2 adjustable. 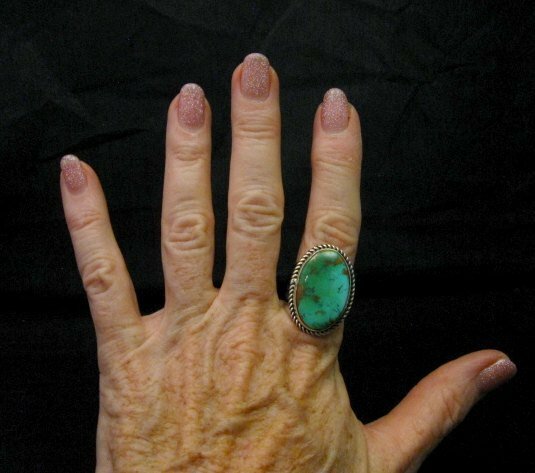 The wide band is intentionally unattached to the back of the ring (giving you some flex on those swollen finger days), so the ring size adjusts. (Meaning it will fit a size 8 to size 10-1/2 approx. Right now it is set at size 9.) 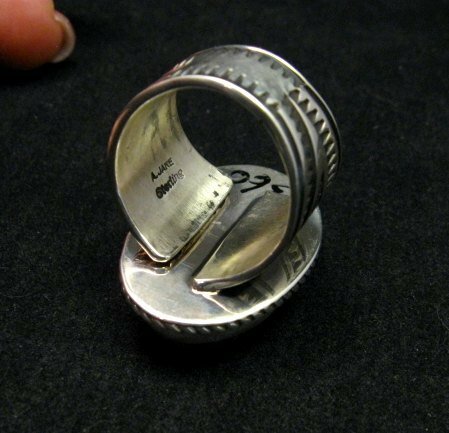 The heavy shank rests against the back of the ring, is very strong and will keep its position, once you have adjusted it. 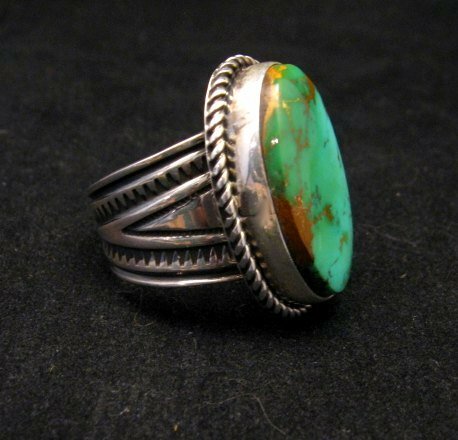 Navajo Albert Jake learned silversmithing from his parents and has been creating beautiful handmade jewelry since 1987. 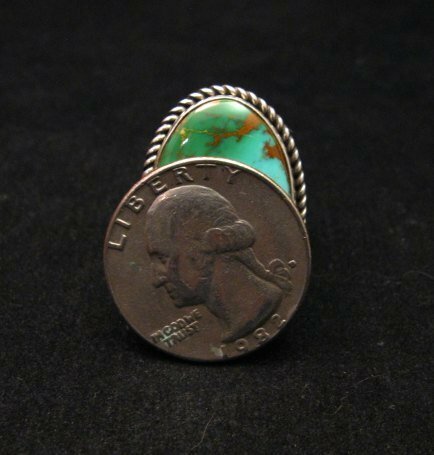 His jewelry is reminiscent of the old Fred Harvey line of jewelry only better, because this ring is very heavy and well made.